What kid didn’t love that show as a kid? Dragon Ball. The series about Son-Goku who saves our beautiful earth more than once. For those who have always wanted to search for Dragonballs themselves, there is now an opportunity. 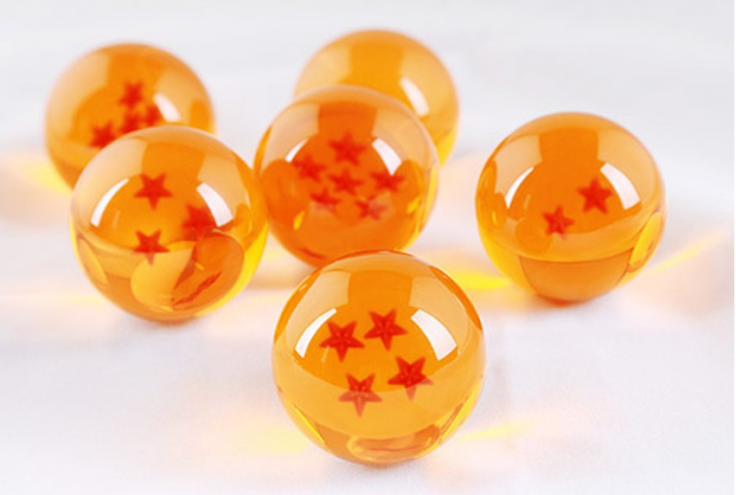 The seven balls that can make the dragon Shenlong appear can be ordered. But of course without Shenlong. The Dragonballs shown here have a diameter of approx. 4 cm. There are all seven of them with different numbers of stars inside the balls. The Dragonballs are made of synthetic resin. For fans of the series a beautiful piece of jewelry for the showcase, and perhaps also interesting for cosplayers. If the world should be attacked by aliens or genetically manipulated super fighters, it would be good to have the Dragonballs already in the house. Because you never know if Freezer, Cell or other creatures haven’t already thrown their eyes on our beautiful blue planet.